Growing a business and sustaining that trajectory comes isn't easy. 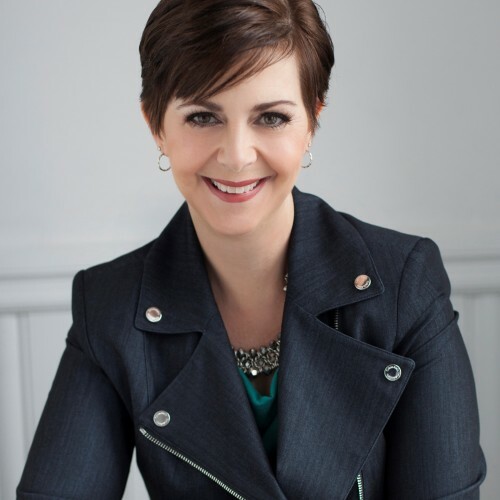 Charlene ignites energy and motivation within smart, open-minded, ambitious leaders and teams. Bring high-value motivation and inspiration into the room, and never ever make your group suffer "Death by PowerPoint"
For more than two decades, Charlene has been a trusted advisor to professionals and companies around the world. Her professional experience as a high-growth sales leader along with her focus on personal peak performance comes across regardless of the specific session topic. Even more importantly, she has an authenticity and sense of humor that is engaging and contagious. What sets Charlene apart from other speakers is the energy she creates. She also works hard to give the audience immediate takeaways that will cultivate sustainable success. Particularly impactful for an opening or a closing keynote, she stresses (in a fun, non-preachy way) the importance of personal accountability and commitment, even through change and challenge. Whether you have a meeting that needs an expert facilitator, a large audience that needs an energetic keynote speaker, or anything in between -- Charlene provides a dynamic tone that continues to vibrate long after your meeting or conference is over. A great session for an association meeting or other industry-focused event, this session helps business builders who are on a mission to help others, provide excellent service, and build lasting relationships with their customers. Nearly all industries follow a sales methodology that says you need to make 100 calls to get 10 meetings to get one deal. For many organizations and service providers, this is a formula that doesn't work on a number of levels. In this session, the audience will learn what to do instead. They will get better at the "work" of sales, without the internal struggle that is holding them back from being more proactive today. - how to bring in more revenue with limited resources of people, budget, and time. - how to be more authentic, and gain relief from the fear of being "icky salesy"
- how to follow a specific sales process that gives you momentum and data, without your prospects or customers ever feeling "proocessed." While this topic is focused on actively building revenue (i.e. "sales"), it is designed to ensure that the marketing strategy and sales effort is working in lock step. When every minute and dollar counts, this is critical to scalable and sustainable success. Originally created for the "Live Free & Start" series, this practical and insightful session focused on seven specific strategies that you can put into practice right away, with minimal resources. This session is perfect for groups of solopreneurs, startups, nonprofits, or any small businesses trying to gain marketing mindshare on a limited budget. Operating with a "lean" team, many of these business builders are also limited with time. Therefore, every effort has to count. As a good marketing counterpart to basic sales training, this session helps small or growing organizations learn how to thrive at the intersection of sales and marketing. Whether you have direct reports, endeavor to be seen as a leader within or your team, or strive to live a more fulfilled personal life, self-leadership skills can serve you in a variety of ways.
? The difference between "managing" vs. "coaching"
"Communication" is more than a mere exchange of information. This session explores the dynamics and strategies for having more effective interactions and successful outcomes, both personally and professionally. When we start with the right internal awareness, we are far more effective at both external communication and success in general. This session promises to be informative, interactive, and inspiring! The idea of going after a target market is a familiar concept. Yet, so many small business professionals struggle with how to pinpoint and acquire their ideal customer. They worry that if they focus too much, they might be "turning down business." The reality is that defining your bullseye customer is not only the foundation for a successful marketing strategy, it is critical to overall success and happiness in your business. This session takes a unique approach, and energizes your focus from the inside, out. Get clear about who you need to reach, and how to reach them. Learn how having internal clarity about why you're in business and who you most want to serve, directly impacts your marketing effectiveness. Better understand how your marketing strategy dramatically increases sales results. Gain renewed energy and excitement for growing your business. Join us for a lively keynote session that will "ignite" your mind and set you up for learning success through the rest of the day. Today, most businesses have a website; many also have a blog as well as some kind of social media presence. Even if they don't have all of those things, business leaders have an increasing awareness that they probably should. Still, given all of the other business priorities, digital content is sometimes tough for business leaders to get their arms around. This session will build leader confidence and comfort with the key concepts around content areas such as the company website, blog, and social media. Charlene will help remove the "overwhelm" that typically surrounds this topic, and provide templates and planning tools that members can use right away, even with minimal resources. The session will be interactive, and provide attendees with a good "head start" on their content strategy. A great session for an all-team or sales offsite, this session dives deeply into how to maximize sales by building relationships. We want to get your sales professionals, leaders, and support staff in the right mindset to create predictable, scalable, and sustainable revenue growth. - How NOT to be "icky salesy"
This session is especially useful for sales teams who have had other types of training, yet still struggle to exceed sales goals on a consistent basis. Extremely efffective for B2B services and higher investment products. STOP BEING A VICTIM OF YOUR OWN BRILLIANCE & IGNITE SUCCESS! How to Stop Being a Victim of Your Own Brilliance & Ignite Success: Get out of your head, fuel momentum, & conquer those goals. You are closer than you think! On some level, you know you have the smarts, the energy, and the creative juice to make your dreams come true. You have the potential to help the world in a big way! Meanwhile, you keep getting stuck in the swirling vortex of everything you want to do, or can do, or are trying to figure out how to do. It's time to get out of your own damn way. Don't become a victim of your own brilliance! Get your mind right, get focused, and leverage key strategies and tactics to do what you were put on this earth to do. Find out more about Charlene Ignites at http://www.charleneignites.com.